Mi India has announced that Redmi Note Prime is now available for Rs 7,999 exclusively on Amazon.in and Mi.com, down from the original launch price of Rs 8,499. Redmi Note Prime is Xiaomi’s second smartphone to be ‘Made In India’ and went on sale on December 2015. It is an enhanced version of Redmi Note 4G with 2GB RAM, 16GB storage (expandable to 32GB), a Qualcomm Snapdragon 410 64-bit processor and is equipped with dual SIM 4G capabilities. Since its launch, Redmi Note Prime has been appreciated for its camera and UI. Key specifications of Redmi Note Prime include Qualcomm Snapdragon 410 1.2GHz quad-core processor and the phone has 2G/3G/4G dual SIM card slots. The phone features a 5.5-inch HD (1280×720p) display and a 13 MP rear camera and 5MP front camera. The phone runs on a 3100mAh Li-ion Polymer battery. 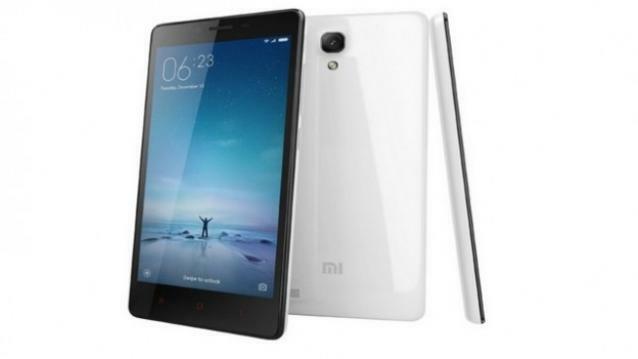 The Redmi Note Prime runs on Android 4.4 KitKat-based MIUI 7. On the connectivity front, the device sports GPRS/ EDGE, 3G, 4G, Wi-Fi 802.11 b/g/n with hotspot functionality, Bluetooth v4.0, FM radio, microUSB 2.0, USB-OTG and GPS/ A-GPS. Additionally, the company has announced that as part of Mi Week on Amazon.in starting 16th February and running till 19th February, Mi 4 will be available at 12,999 while Mi 4i will be available for Rs 9,999.